What regulates the shapes and sizes of organisms is one of the most intriguing unanswered questions of developmental biology. For plants, this is an especially challenging problem because most plant organs do not arise until after the seed germinates, and organ size and shape is optimized to suit the local environment. Because they are photosynthetic and fixed in space, plants need to be especially plastic in response to their light environment. 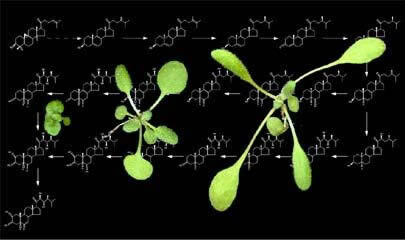 Light influences every developmental transition from seed germination to flowering, having particularly dramatic effects on the morphogenesis of seedlings where it stimulates leaf and chloroplast development, inhibits stem growth, and induces the expression of hundreds of nuclear- and chloroplast-encoded genes. Light signals do not act autonomously, but must be integrated with seasonal and diurnal changes in temperature, as well as with intrinsic developmental programs to specify correct spatial and temporal regulation of gene expression, organelle development, and cellular differentiation. Our lab studies the mechanisms by which plants respond to changes in their environment, taking advantage of the genomics tools available in the reference plant, Arabidopsis thaliana. What are the initial events of photoreceptor signaling and how do light and temperature changes alter the development of plants? In these studies, our work has focused on the red/far-red light absorbing photoreceptors, called phytochromes. Our early work identified mutants in two of the major phytochromes and we cloned a number of genes involved in phytochrome signaling. Recently, we are working on the cell biology of phytochrome’s light-regulated translocation from the cytosol to the nucleus. We are also performing more directed screens to understand how plants respond to changes in light quality, especially changes arising from shading by other plants. Together with Steve Kay’s lab at UCSD, we have also shown that greater than 90% of the Arabidopsis transcriptome is expressed at a particular time of day. A question that arose from our studies is: what are the mechanisms in nature by which plants adapt to varying light environments? For the past 8 years, we have collaborated with Detlef Weigel, surveying hundreds of strains of Arabidopsis collected from around the world for changes in light sensitivity or flowering time. Our studies have shown that biochemical changes in critical photoreceptors, including phyA, phyB, phyC and phyD, may allow plants to grow in different light environments. How do the photoreceptor action pathways interact with endogenous hormone programs to establish the body plan of the emerging seedling and determine the final size of the plant? 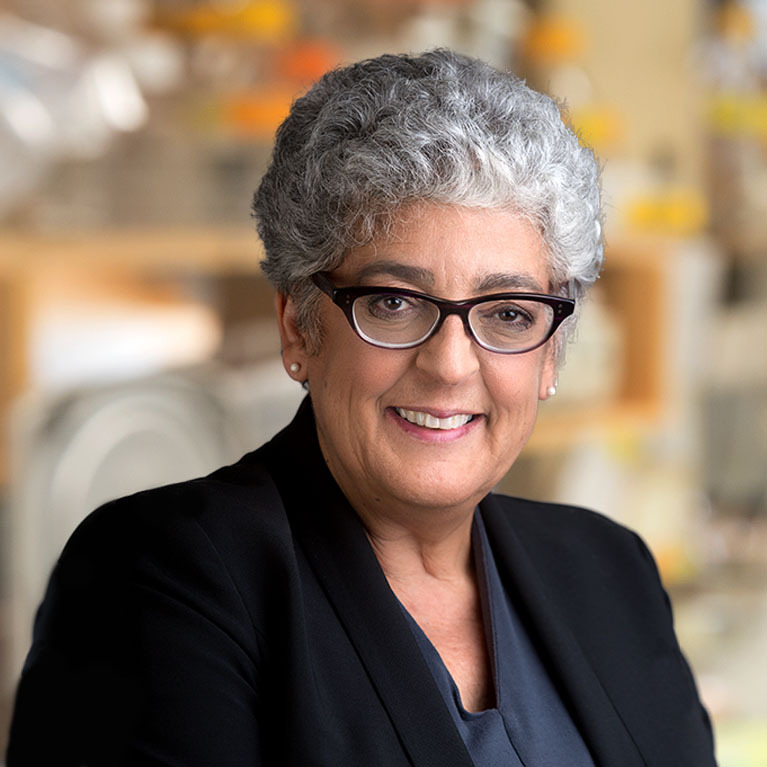 We still don’t know the answer to this, but over the past decade, we and others have made considerable progress on the mechanisms of hormone and light signaling. Our lab has focused on Brassinosteroids (BRs), a class of hormones that are essential for normal plant growth and development. In the absence of BR production or perception, plants exhibit an extreme dwarf stature, which has been attributed to defects in cell expansion and division.BRs are perceived at the plasma membrane by BRI1, a leucine-rich repeat (LRR) receptor serine/threonine kinase. BRs bind to a ca. 100 amino acid subdomain in BRI1’s ectodomain, and we have obtained considerable data supporting a mechanistic model for BRI1 activation. In the model, BRI1 kinase activity is kept at a basal level by its C-terminal tail. Upon BR-binding, a conformational change of BRI1’s intracellular domain allows BRI1’s kinase to phosphorylate the C-terminal tail, which is correlated with the dissociation of BKI1, a negative regulator of BRI1 signaling, from the plasma membrane. Release of BKI1 may then allow BRI1 to interact with its co-receptor, BAK1. Upon BR binding, phosphorylation events at the cell surface or in endosomal compartments lead to the inactivation of a glycogen synthase kinase-3 by an unknown mechanism. Inhibition of the GSK3 and dephosphorylation by a nuclear serine/threonine phosphatase, called BSU1, allows the dephosphorylation of a family of plant-specific transcription factors that work alone or in concert with other transcription factors to activate or repress hundreds of BR-regulated genes. We are now focused on using genomics and what we’ve learned about the mechanism of BR signaling to begin to unravel the details of how plants grow and, moreover, how growth is altered by changes in the environment. What are the mechanisms by which the expression of nuclear light-regulated genes is coordinated with chloroplast development? Historically, this has been the smallest project in the lab. However, this project is connected to the others because high light and other abiotic stresses are often sensed in the chloroplast, from which a signal or signals are generated which down-regulated hundreds of nuclear genes for chloroplast-destined proteins. One such trigger of retrograde signaling is the build-up in photo-damaged plastids of a chlorophyll biosynthetic intermediate, Mg-protoporphyrinIX, which sends a signal through the previously described transcription factor, ABI4, to repress the expression of nuclear genes. For additional details of these projects, go to our Selected Publictions link on this site, PubMed, or our research summary at HHMI.